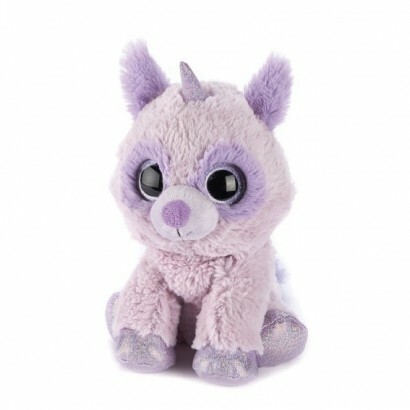 A soft and cuddly raccoon with unicorn horn and wide sparkling eyes, the Warmies Racoonicorn gives the warmest of hugs on cold winter nights! 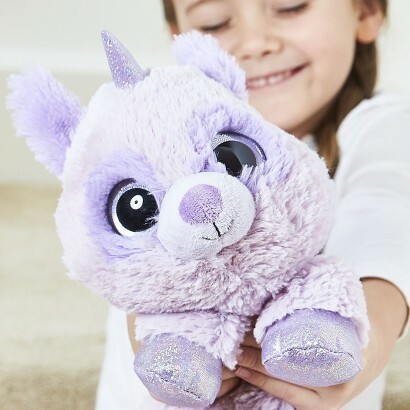 Filled with dried millet seeds and lavender, heat the Racoonicorn in the microwave for up to 90 seconds and this cute plush character will warm through to give cosy snuggles with soothing scents. There's no need for hot water making this very cute Racoonicorn a safer alternative to hot water bottles for cosy bedtimes!